While expecting a baby, my wife was hesitant about stairs. I said, "oh, the baby will be fine." Now that she's crawling around and climbing on everything, I'm the one worrying. 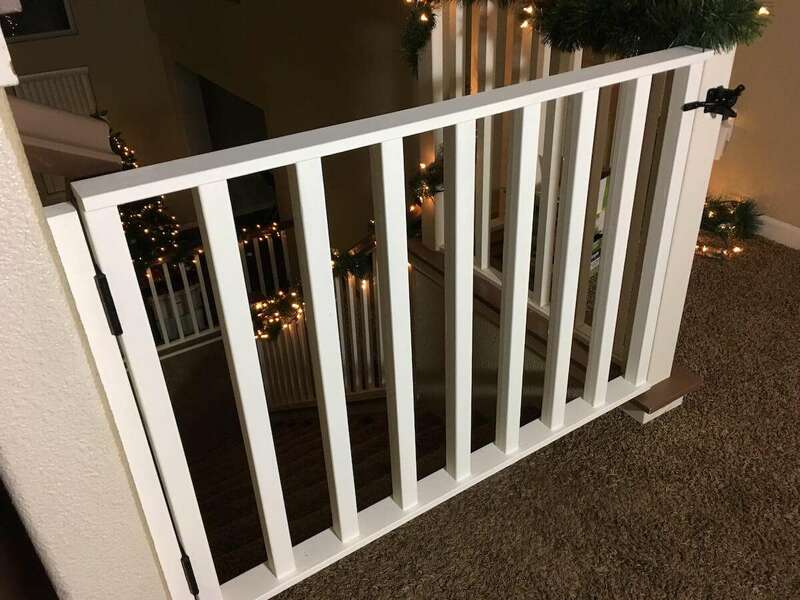 So here's the baby gate I built to keep my little one from tumbling down the stairs. 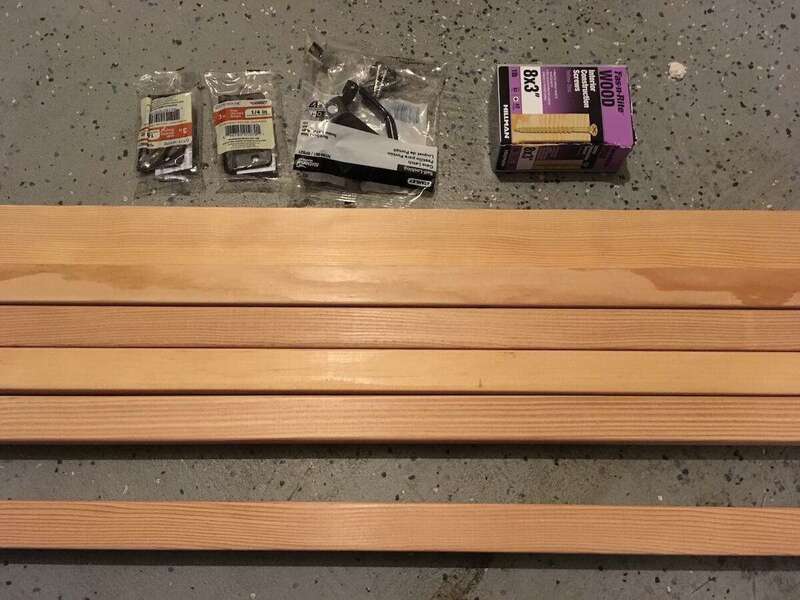 I made a trip to the hardware store and bought the materials. 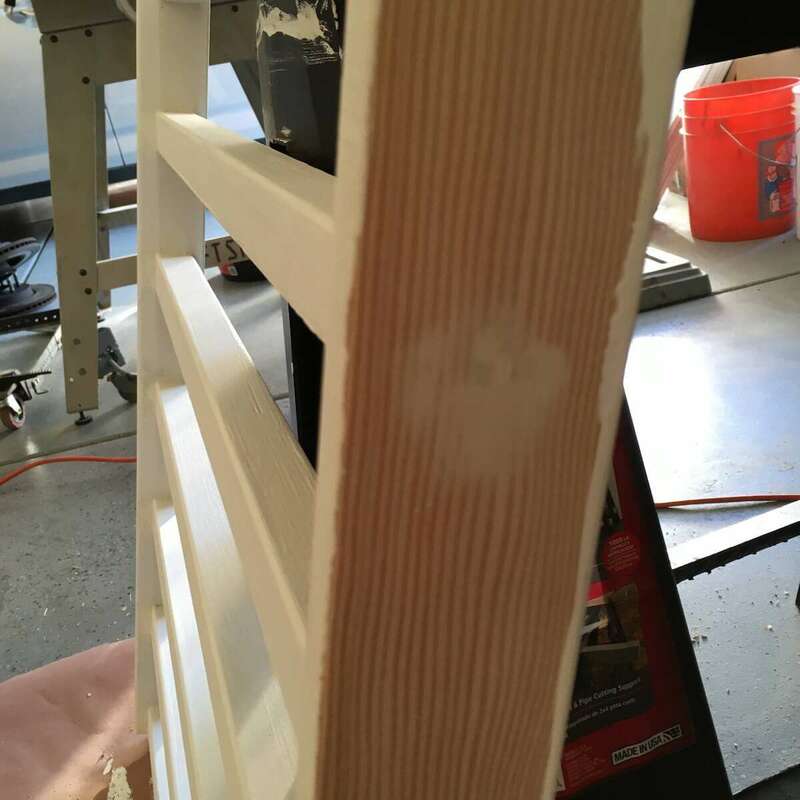 For this project I used a 1 x 3 for the top and bottom and 2 x 2's for the balusters. I also picked up the smallest gate hinges and latch I could find. 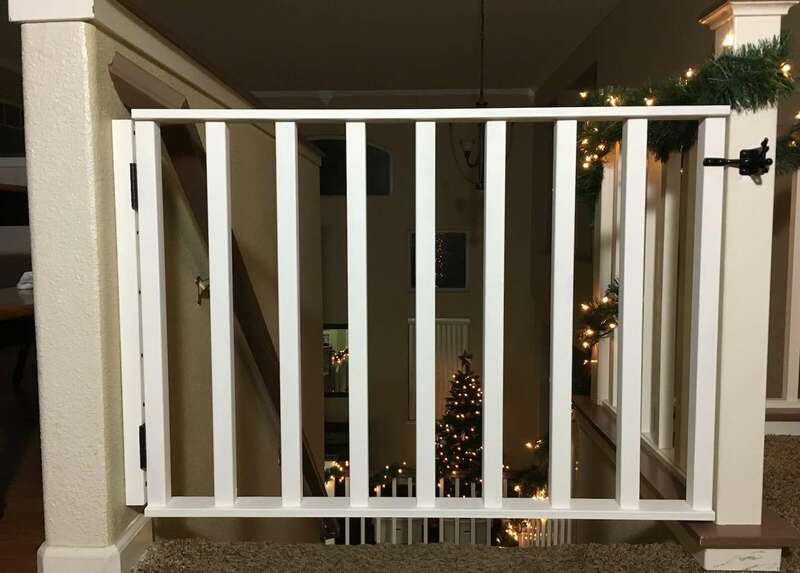 To secure the balusters to the top and bottom rails, I used 3" wood nails. Then I took my measurements. The goal was to mount a 2 x 2 to the wall and secure the hinges to it. Then the gate should be wide enough to reach the other post. 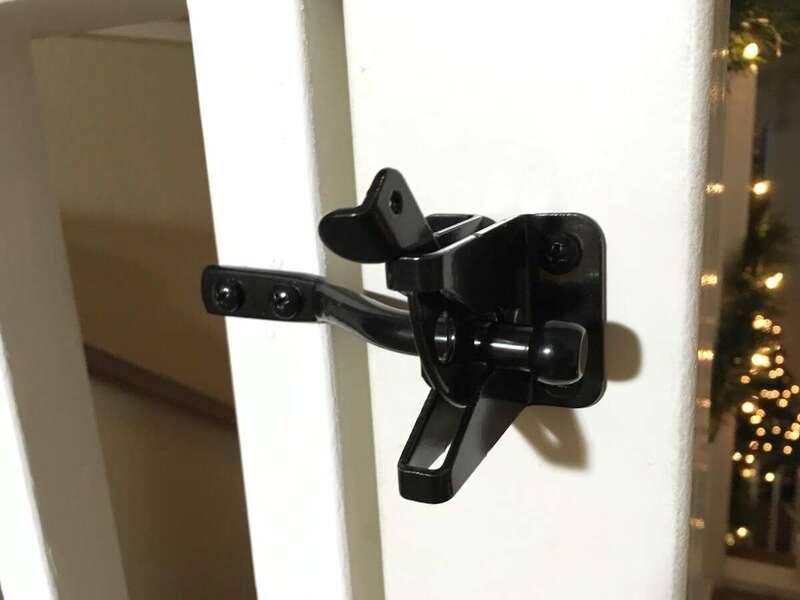 The latch will be mounted on the post. 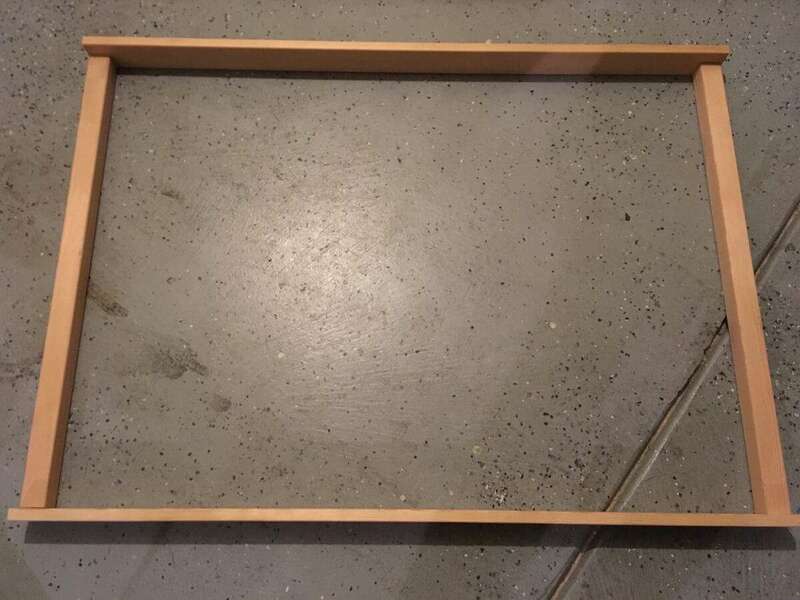 After taking measurements, I made the initial cuts for the frame and laid it out. Then I cut the rest of the balusters. One by one I screwed them in using a spacer and clamps. 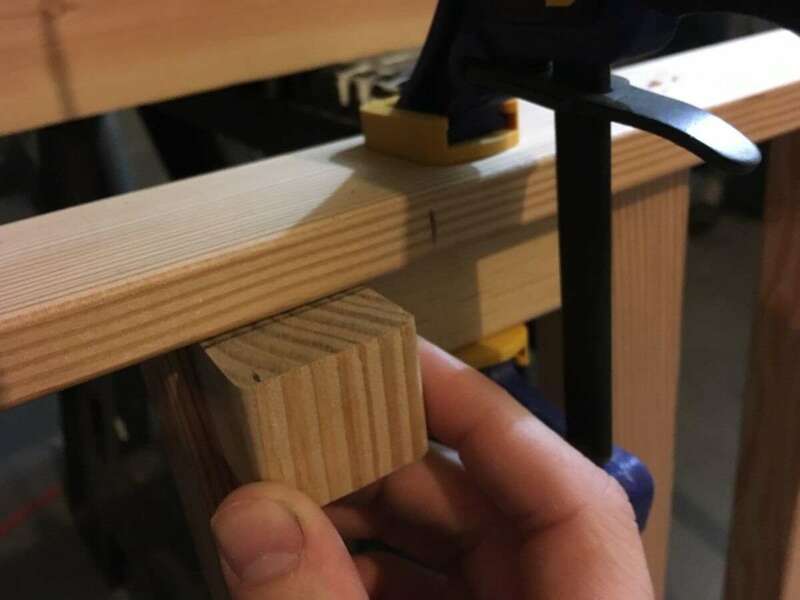 To get the balusters straight and centered I measured the first one and then marked a small piece of scrap 2 x 2 to make the process to go faster. After getting everything screwed together, filled in some of the holes with wood putty and started painting. 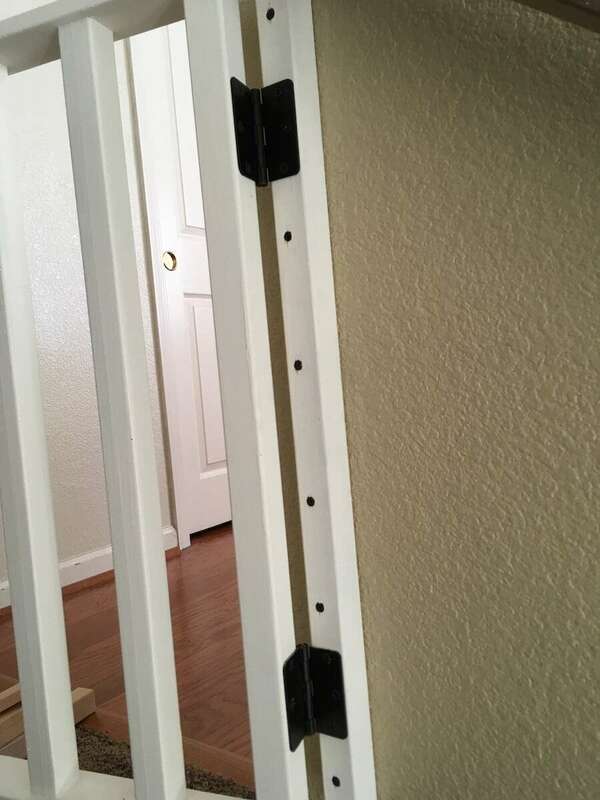 After painting, I attached the hinges to the gate and the spare 2 x 2 and then secured it to the wall. 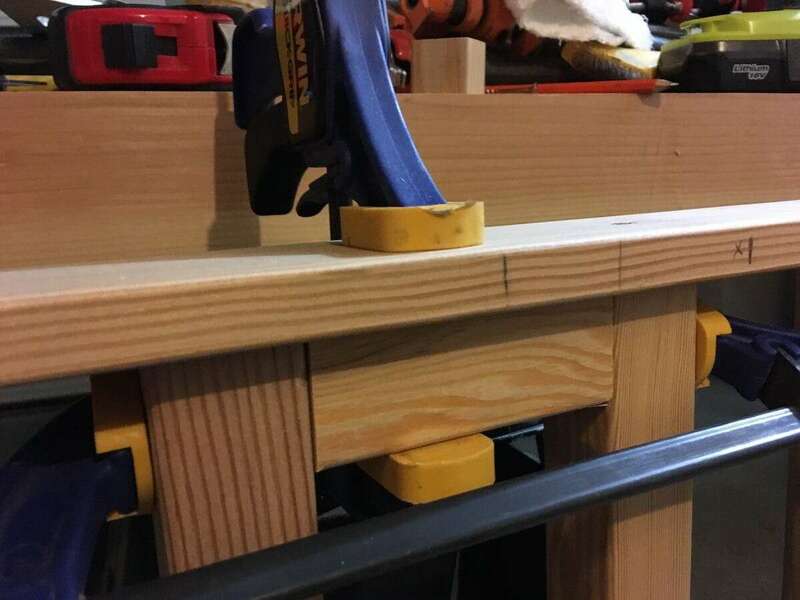 Last step was the latch.